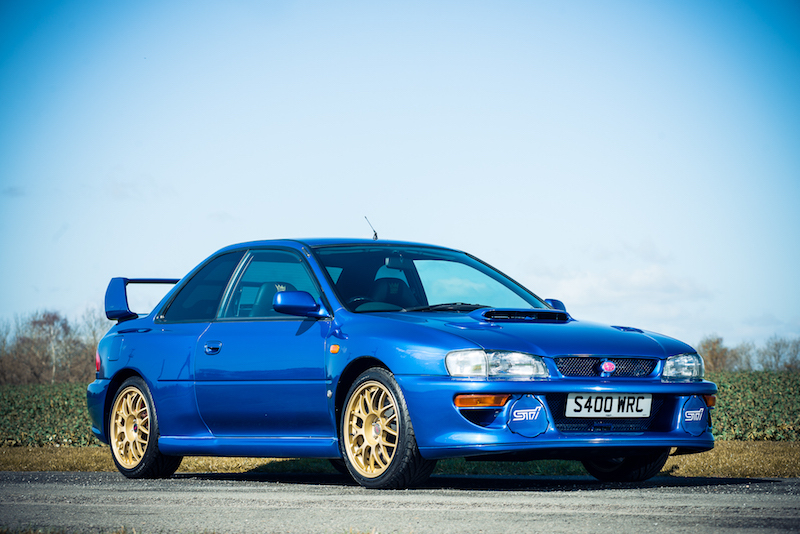 The Subaru Impreza 22B STi is a very rare beast, with only 400 having been made between March and August 1998, but on May 20th, one lucky individual will be able to get their hands on a pristine example of this particular performance jewel. Owner by former boxing world champion, Prince Naseem Hamed, this example has covered just 2,500 miles since it was first registered, which was launched to help celebrate Subaru’s 40th anniversary. The car also symbolises the celebration of the Japanese manufacturer taking its third successive title in the WRC, as well as bringing the best of road and rally car together. With styling cues brought from the mind of the WRC outfit’s designer, Peter Stevens, the 22B would benefit from a wider stance of around 80mm, thanks to extended front and rear fenders, a new WRC-related front bumper, bespoke bonnet and an adjustable rear wing. This, accompanied by the “555” racing blue paint, the 22B would sell out within a matter of hours, with 50 making their way to our shores via private imports, with all those buying this rocket-powered coupé unable to get the car type-approved until 1999. With a blistering 4.2 seconds to hit 60 miles per hour, it was a a force to be reckoned with, having 280bhp at its disposal, but expect this car to not hang around when the bidding starts. The list of the car’s specification will ensure the best possible performance for the lucky one that parts with their hard-earned money, and deliver that trademark Subaru driving experience in spades. To find out more about the auction, which will feature many other clean examples of other classic machinery, you can click here.